Our First Montessori Moment. Eoghan at West Point. All four of my children have attended Villa at some point (we have moved in and out of St Louis multiple times). Attached is a photo of my oldest son, Eoghan, now 21. He is a cadet at West Point. 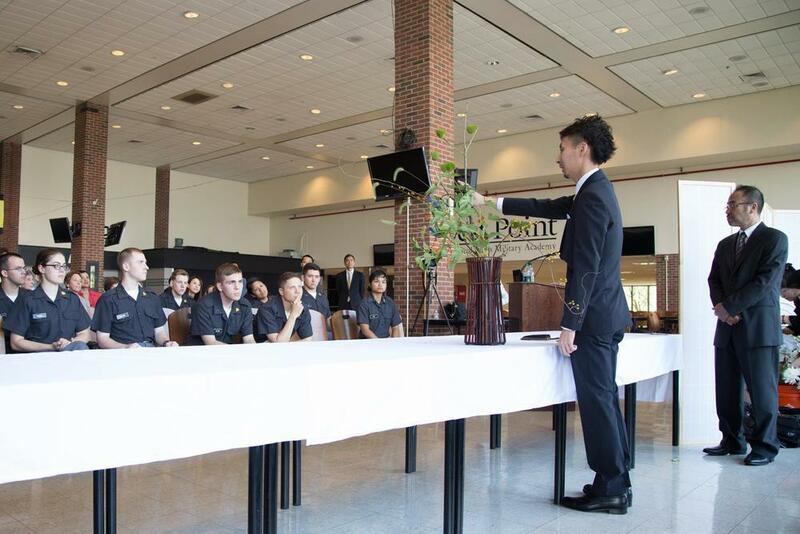 In the photo he is at the far left, watching an ikebana demonstration- Japanese flower arranging- that took place at West Point in September 2014. When I saw this photo, my mind immediately went back to my three-year old son arranging flowers in P2. The exercises in practical life have much longer-reaching effects than we might think! They are not just fun activities for the kids to do until they start “real work.” Eoghan was the only cadet selected to go to Japan on exchange study in the fall of 2015. Do I think it’s connected to his early Montessori experiences at Villa? YES.